The Gun Cartridge Sterling Silver Cufflinks by Murray Ward are a fun and quirky way of adding a bit of character to an outfit. 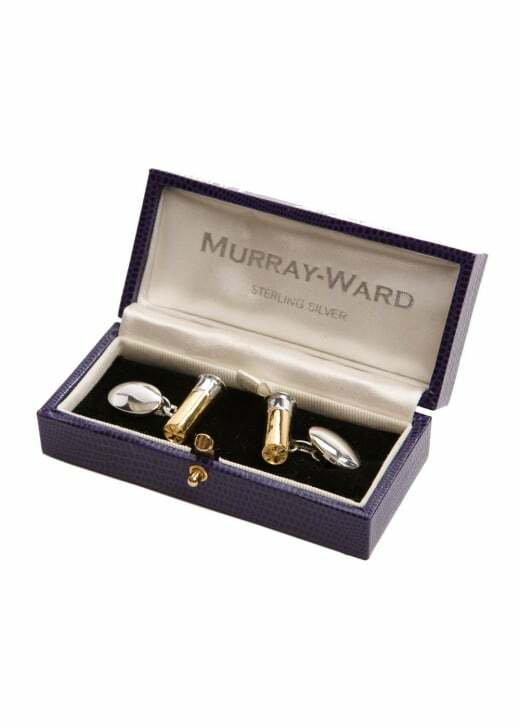 Showing our 2 Murray Ward Gun Cartridge Sterling Silver Cufflinks reviews with an average rating of Excellent. I bought the cuff links as a wedding present for my husband and he loved them.